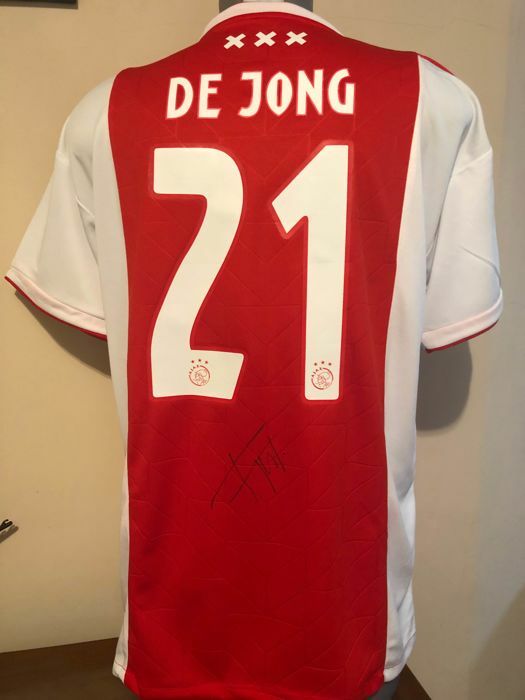 Shirt signed by the best Ajax player of the moment Frenkie de Jong. Autograph obtained in person after a training session in the Sports City. L size with tags. 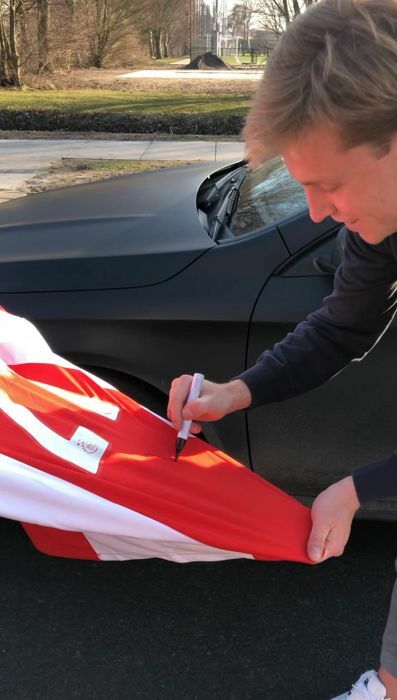 There is a photo of the exact moment of the signing. Registered shipping with a tracking number. 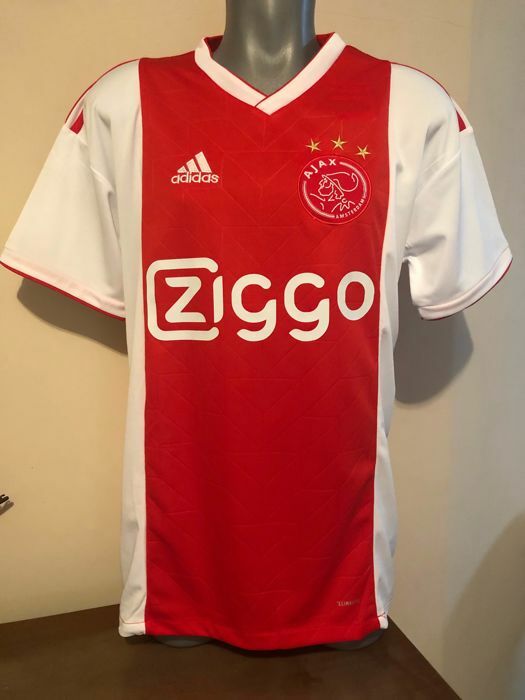 Frenkie was trained in the Willem II youth academy. He made his Eredivisie debut on 10 May 2015. ​In August of the same year, he signed with Jong Ajax but remained in his club of origin until the end of the year. 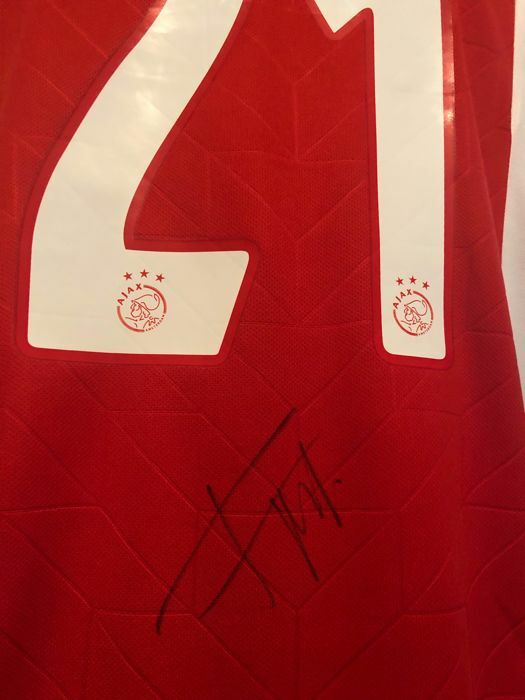 On 21 September 2016, he made his debut with Ajax Amsterdam in a Cup match against former club Willem II. Frankie played the last ten minutes of the game. At the end of that season, he had played eleven matches with the senior team, including the last minutes of the 2016-17 Europa League final. ​His progression continued during the following season. He played 26 matches and provided nine assists. 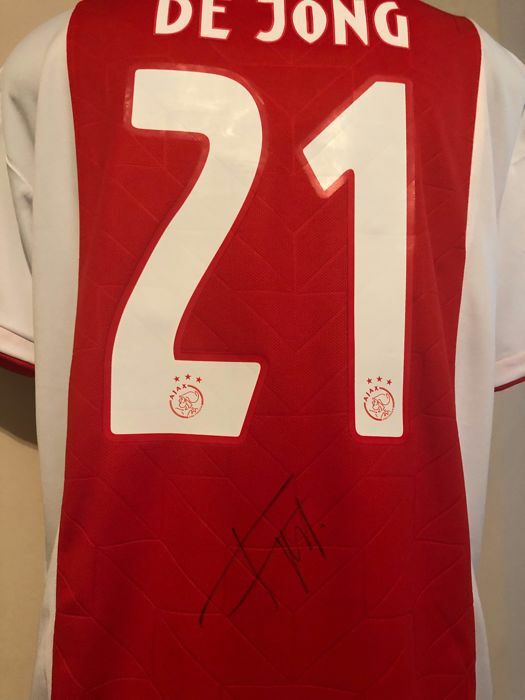 On 17 December 2018, he was named 2018 Talent by TopSport Amsterdam. On 23 January 2019, FC Barcelona announced he will be signing with the club on a five-year contract effective 1 July 2019. Todo perfecto, rápido y bien. Vendedor recomendable. 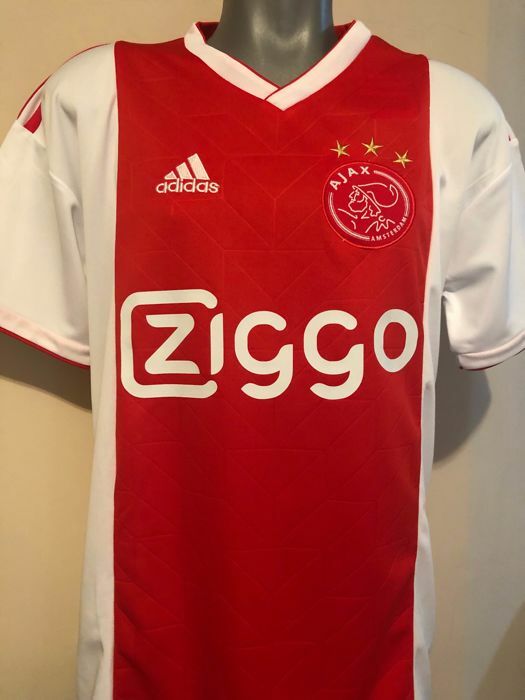 I'm very happy with the shirt ... but i think the shipping cost are too high. Buongiorno ho parlato questa mattina via telefono con un vostro incaricato per una lamentela sulle scarpe (poi era solo una) di Ronaldo. Secondo me l’annu Non era corretto ed ingannevole vediamo!!!!!! Artículo en perfectas condiciones y un rápido envío. 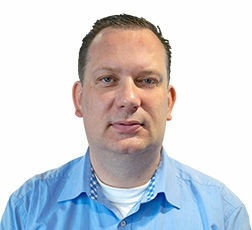 Item ok, verzendkosten veel te hoog! very good, like the description and the photos ! perfect !